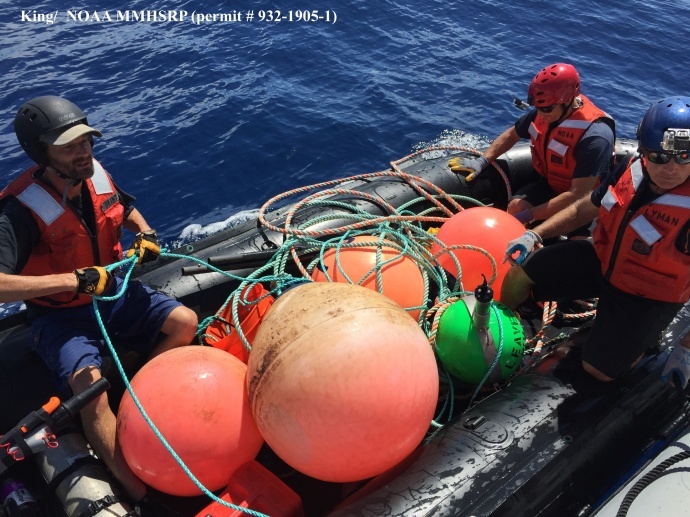 The Hawaiian Islands Humpback Whale National Marine Sanctuary reports that the close of the 2015 whale season marks 13 years of whale rescue operations by the Hawaiian Islands Disentanglement Network. 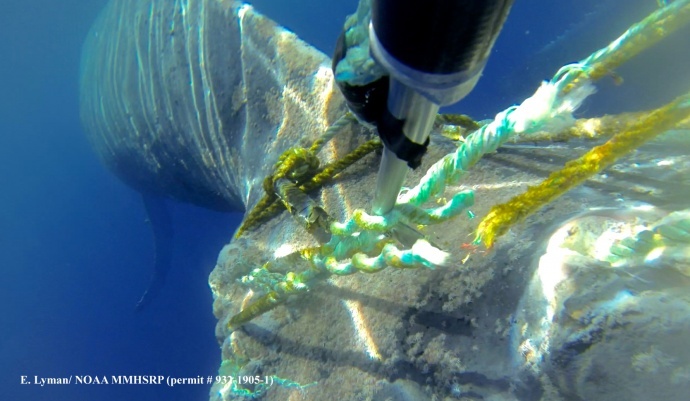 Since its inception in 2002, the network has freed 22 large whales from life threatening entanglements, and removed more than 9,500 feet of large gauge line from the entangled whales. The sanctuary and partners have also helped free many other marine animals, including sea turtles, mantas, dolphins, and monk seals over the same period. 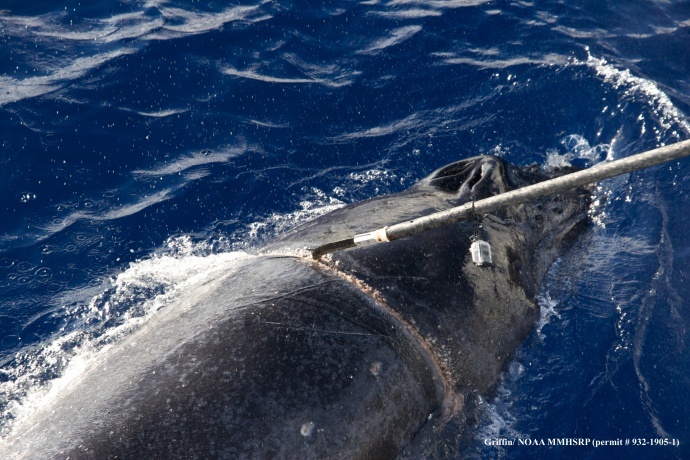 HIHWNMS is releasing newly edited footage and images from the most recent large whale disentanglement in waters off of Māʻalaea on Maui in February, 2015, plus unique imagery of a compelling 2013 rescue of a young humpback off Lānaʻi, the first calf ever cut free by the team. 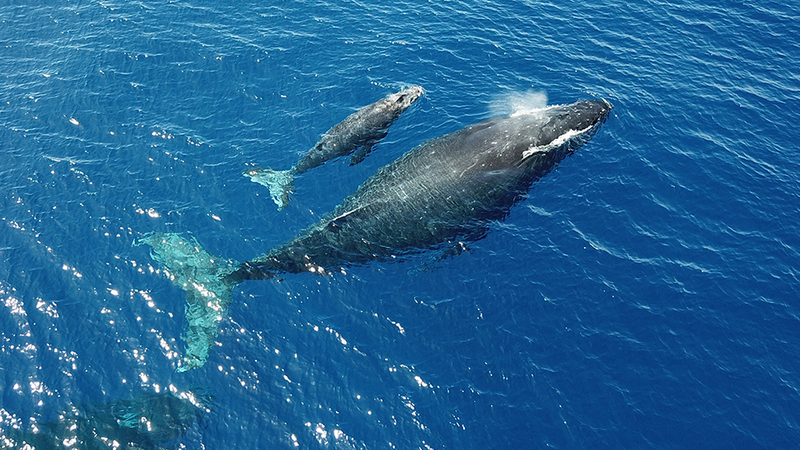 The footage from 2013 shows a humpback whale calf with a life-threatening tight wrap of line around its body, being accompanied by its mother. The crew used a specially designed knife on a long pole to cut the line and free the calf. 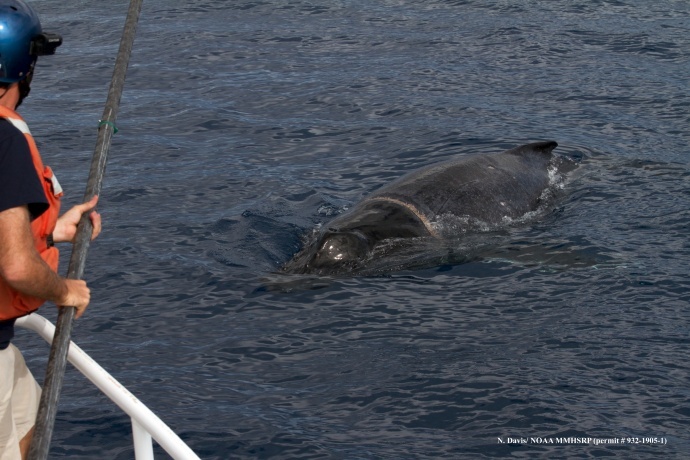 The rescue earlier this year off Maui documents the disentanglement of an adult humpback whale entangled in 450 feet of fishing line with tight wraps of heavy gauge line around its tail that was trailing hundreds of feet behind. 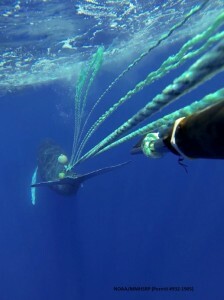 Marine mammal entanglement, or by-catch, is described by agency official as “a global problem that every year results in the death of hundred of thousands of whales, dolphins, porpoises and seals.” Authorities say that for large whales, the impact is typically not immediate, as the animals can pull gear off the ocean floor and swim off with it. 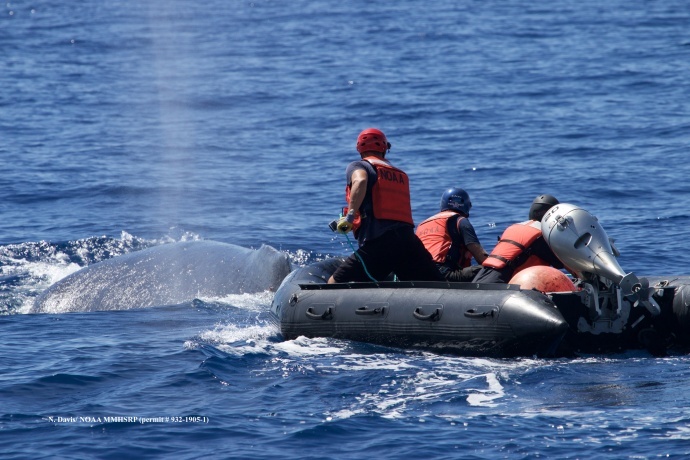 Freeing a 45-ton animal in the open ocean is described as a dangerous feat for both the animal and rescuers. 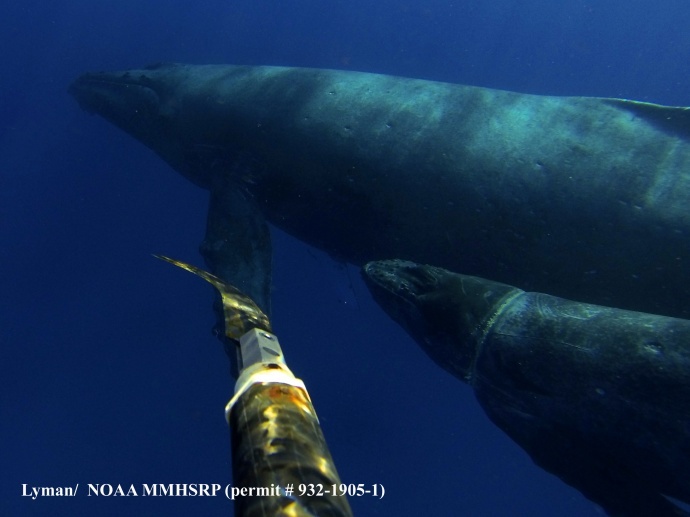 As a result, response requires authorization and permits under NOAA Fisheries’ Marine Mammal Health and Stranding Response Program and the state of Hawaiʻi’s Department of Land and Natural Resources. 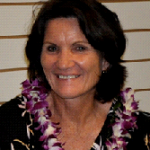 The Hawaiian Islands Humpback Whale National Marine Sanctuary works with partners that include: NOAA Fisheries, the Hawaiʻi Department of Land and Natural Resources, the US Coast Guard, fishermen, the tour industry, and others to lead a community-based network to respond to large whales in life threatening entanglements. Whale rescue, Dec. 18, 2013. 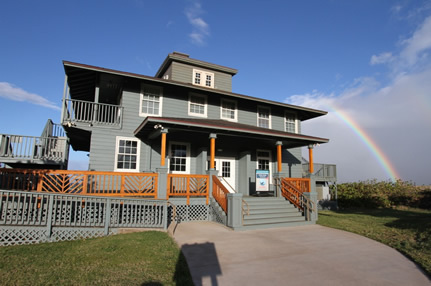 Photo credit: Lyman/NOAA MMHSRP (permit#932-1905-1).